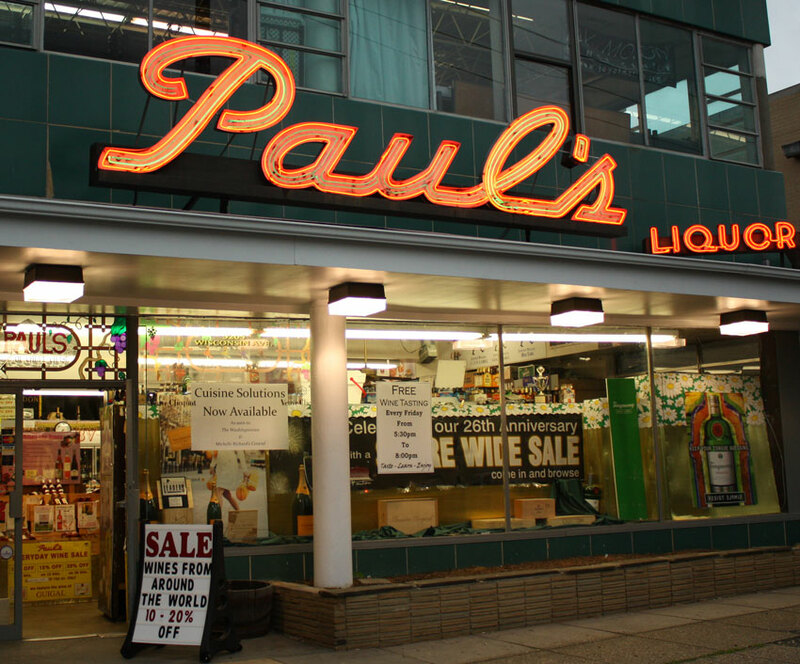 In celebration of National Wine Day & Presidents’ Day, we took a drive to our favorite wine shop; Paul’s Wines & Spirit’s, 5205 Wisconsin Ave. Washington, DC 20015, (202) 537-1900, www.paulsdc.com. We’re scanning the shelves looking for a Zinfandel; reminiscing over the wines that are no longer available. For example, CatamongsthePigeons, a delicious Shiraz blend. I see the infamous Seghesio’s Zinfandel, YUM! You know I love Zinfandels. Ridge Vineyards’ Zinfandel is my all time favorite; but, I want to try something new. Klinker Brick from Lodi region was recommended and it must be delicious because it was one of the featured weekly wines, the full-size bottles were sold-out and only half bottles were available. Yes, I will take one. That’s when I made my mistake by only purchased one half-bottle. I should have implemented my purchasing rule, which is buy wine in batches of three. The first bottle you consume right away with excitement. The second bottle is for bragging & sharing with your friend the amazing find & the third bottle is laid down; an excellent way to create a wine cellarJ. The next purchase, you’ll save money because you’re only purchasing two bottles; sounds great plan:). The Lodi region is known for the Zinfandel capital in the world. It produces forty percent of California’s Zinfandel, which consists of thousand acres of “old vines” that date back to 1880s. The Lodi’s Zinfandel characteristics are medium to full-bodied with full cherry and black fruit flavors (www.lodiwine.com). Klinker Brick has done an excellent job! The wine is full-bodied, fruit-forward and smoky with toasting notes on the finish. It’s a shame that we only purchased a half bottle. My lips keep running across my lips; definitely making a future purchase and I will be implementing my purchase plan:). 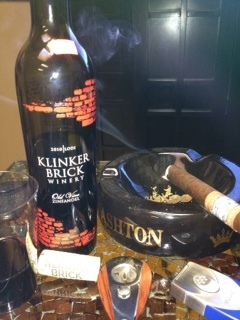 We end our day at the Montecristo Lounge sipping on a Klinker Brick Zinfandel and enjoying a Perdomo Lot 23.